We are manufacturing a comprehensive range of Punnets that are made up of using PVC materials. Designed and developed at our organization, these are in compliance with industry standards. Used for decorative as well as functional purposes, these punnets are forms of basket used to store fruits or vegetables. Available in all standard sizes, these are also offered through us in customizable sizes as per the specifications provided by our esteemed customers. 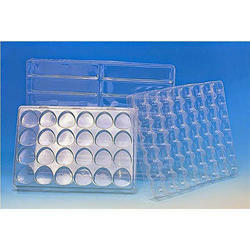 We are hygienic company where emphasis is laid on the quality of PVC product. We undertake stringent actions to ensure We are that all the PVC prodcut of our company is highest in quality and hygiene. 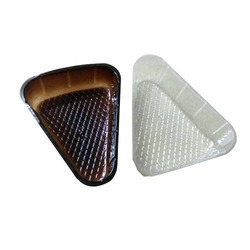 Our PVC product is manufactured by using food grade material. 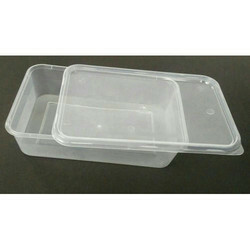 Offering you a complete choice of products which include PVC Bakery Packaging Trays, PVC Pastery Packaging Tray, Cookies Packaging Tray, Bakery Packaging Material, Rectangular Packaging Tray and PVC Bakery Packaging Tray.